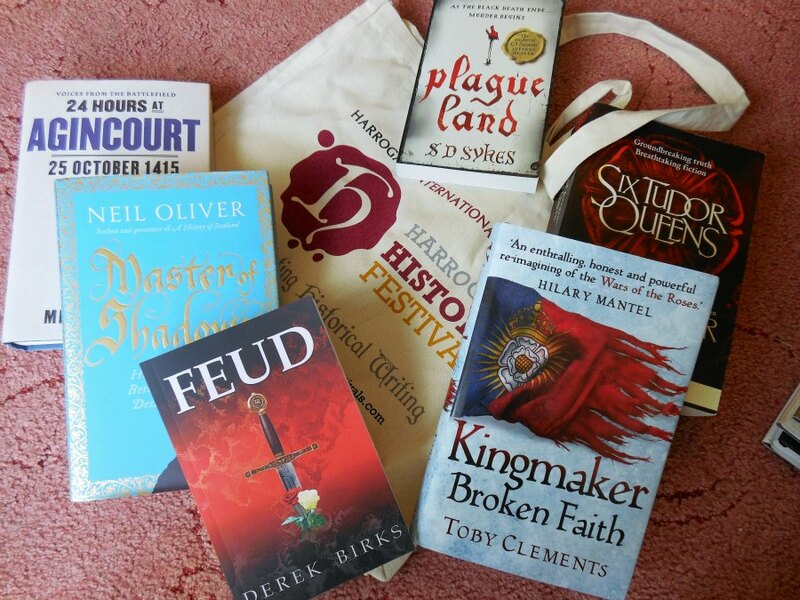 The Harrogate History Festival – Indulging the History Geek – History… the interesting bits! Last year I went to my first ever History Festival; the Harrogate History Festival, hosted by the Historical Writer’s Association. It was amazing – a chance to indulge my inner history geek with fellow history geeks. 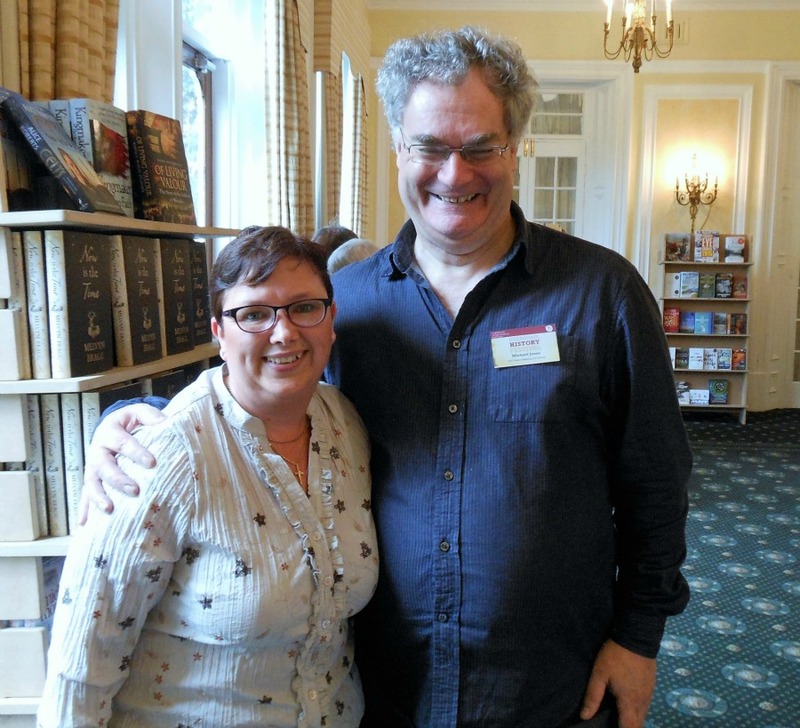 Last year I had a chat with Elizabeth Chadwick in the lunch queue, and got my photo taken with the greatest writer of historical fiction, ever – Bernard Cornwell. So, of course, this year – I went back! 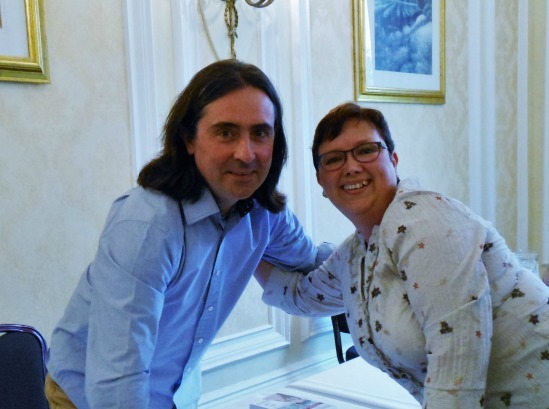 Meeting Neil Oliver at the book signing. And, dare I say it was even better than last year? The 2014 Festival was heavily in favour of historical fiction, whereas 2015 was more balanced between non-fiction and fiction. The Festival is a combination of highlighting the work of established writers, and shining the spotlight on the newcomers, with an award for this year’s Crown for Debut Historical Fiction going to Ben Ferguson . The event is a combination of interviews, panel discussions and easy-to-listen-to lectures, all followed by a question and answer session with the audience. The Harrogate History Festival is a roll-call of wonderful writers and historians; Manda Scott, Michael Morpurgo, Neil Oliver, Ken Follet, Melvin Bragg, Princess Michael of Kent, Kate Mosse, Imogen Robertson, David Ebsworth, Toby Clements and Edwin Thomas to name just a few. Every session was followed by an opportunity to meet the authors, take photos and get your books signed. 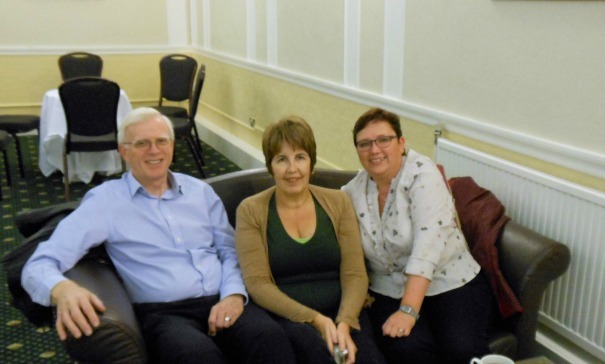 The event is incredibly well organised, and yet very friendly and informal. Panelists and attendees mingle together in the restaurant, the bar the book shop – and everywhere else! The discussions on offered catered to all historical tastes, from the Greeks to the Second World War and everything in between, from fiction focussed on women, to a history of perfume. There was so much to choose from. My favourite panel discussion had to be My Era’s Better Than Yours where 4 historical writers argued the case for which period of history is best. Janina Ramirez was very passionate about the Vikings; while Ben Kane’s promotion of the Romans, of course, mentioned the aqueducts and roads; and SJ Parris enthused about the Elizabethan’s birth of modern espionage. The winner, after an audience clap-o-meter vote, was the Ancient Greeks, with Edwin Thomas having the easy role of promoting the greatest civilisation ever (I’m not biased). Tracy Borman gave a wonderful lecture on the Real Wolf Hall, giving a wonderful insight into the real Thomas Cromwell and comparing him to how he was portrayed in Hilary Mantel’s novel. I had a lovely conversation with historian Michael Jones, who tried to persuade me of the virtues of Henry V; discussing with him the similarities with Edward IV, Henry V’s military successes and his relationships with his nobles. Michael was even kind enough to sign my copy of his book – I got the last one on the shelf. I even got to do my first ever piece of journalism; interviewing Wars of the Roses novelist Derek Birks for The Review Blog with fellow Review admin Jayne Smith – I’ll let you know when it is published. From a wonderful presentation by Michael Morpurgo – who managed to keep children and adults entertained for an hour with stories of how he gets his inspiration for his wonderful books – to the wonderfully jingoistic 600 Years of Beating the French; the talks were fascinating, educating and enthralling. Everyone who attended got a ‘goody bag’ which included an advance copy of Alison Weir’s Katherine of Aragon: the True Queen. And, of course, the bookshop was a ‘go to’ place for writers and book-lovers alike. I shall have to look into it as Harrogate isn’t that far from me. Here ya go, here’s the link: http://harrogateinternationalfestivals.com/history/. It’s well worth a look. So Allison Weir has a new book ? Great blog, Sharon. Very pleased to be able to meet up with you there. Pingback: An Interview with Novelist Derek Birks – History… the interesting bits! Pingback: An Interview with Toby Clements – History… the interesting bits! Pingback: Book Corner: Interview with Toby Clements – History… the interesting bits!